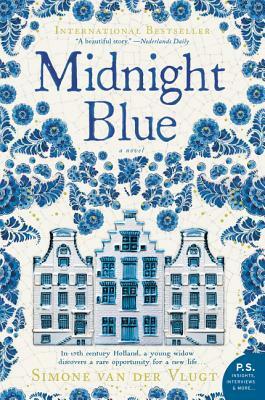 Catrin, a widow in 17th century Netherlands, leaves her village under suspicious circumstances and heads for Amsterdam. Trying to escape her past isn't successful – a man from her village appears and knows her secrets. Fearful, she leaves again, moving to the smaller city of Delft. There she finds work painting the new style of blue-on-white pottery. Her increasingly skilled designs and her ability to sense popular trends make her invaluable to the pottery studio and win her the respect of the men with whom she works. Yet when she thinks her life is finally settled, tragedy strikes. Is she being punished for her past? Midnight Blue evokes a place and time not often highlighted. With cameos by Rembrandt and Vermeer, this is perfect for fans of Girl with a Pearl Earring and B.A. Shapiro.